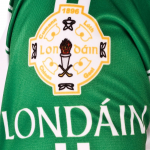 I am delighted to announce that LondonGAA will be re-launching our HurlingSuperGamesCentre in Greenford on Saturday, February 25th at 2.00 p.m. The SuperGamesCentre will continue every week at the same time for 5 weeks and provide every child in London and beyond, regardless of whether they are club affiliated or not, the opportunity to take up hurling and play it an enjoyable and safe environment. All boys and girls from 6 - 18 can participate with equipment provided at the SuperGamesCentre and there will be NO CHARGE to participants so all the children have to do is show up and play the game. All are welcome and we intend to advertise this within the clubs and schools and also to promote it through the various social media outlets but please pass on the information to anyone that you think may be interested. Our intention is for the SuperGamesCentre to drum up interest in the game and encourage a whole new generation to enjoy our native sport! For any further information or queries, please contact:Lloyd Colfer (cda.london@gaa.ie) 078 72600073.